The CAT (Capsule Ariane Technologique) payloads were instrumented vehicle evaluation payloads on the first four Ariane-1 flights. CAT consisted of a cylindrical section, which carried the instruments for vibration, acceleration, sound and launch environment. They were battery powered with a life time of about 6 days. The CAT payloads could be topped by ballast or adaptor section. CAT 1 carried a truncated cone ballast. CAT 2 was similar, but carried also the Firewheel satellite on top of the ballast section and the AMSAT P3A satellite side mounted. CAT 3 had the ballast section replaced by the Indian Apple satellite, which in turn carried the Meteosat 2 satellite. CAT 4 contained also the scientific Thesee payload. 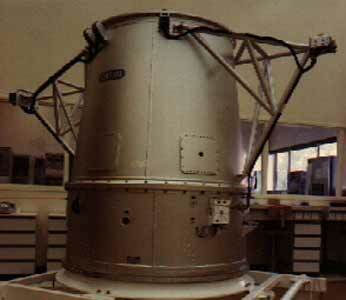 It had a cylindrical ballast section with a vibration damping experiment, which carried the MARECS 1 comsat.